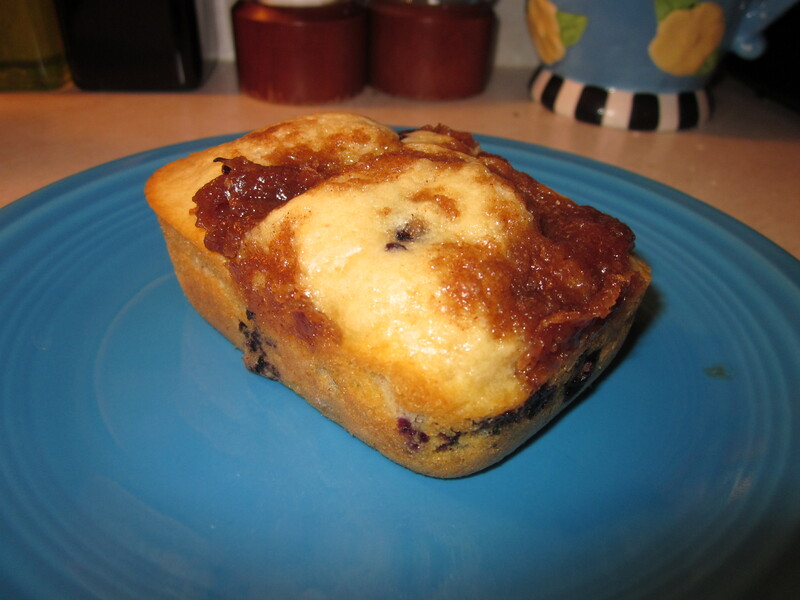 Screamers and Blueberry Muffin Bread – domestic diva, M.D. I feel like pregnancy and childbirth always lead to some of the best medical stories. On my third year pediatrics rotation, we have to spend a day attending any birth where a pediatrician must be present. This can be for emergencies, poor prenatal care, weird contraction patterns, et cetera. In this case, we had a girl who presented to her clinic visit that day, only to discover that she was in labor and fully dilated. That baby was coming, and it was going to come fast. Not if she had anything to do about it. We could hear her screaming all the way down the hall as we walked into her room. For those of you that don’t know, you can only get an epidural up to a certain point in labor, and she was well past that by the time she even showed up to clinic. That resulted in this poor lady having a natural childbirth when she had previously stated she refused to give birth without an epidural. This ordeal lasted for about 20 minutes until her mother finally showed up. Her mother was an extremely large woman, to put it nicely. And she was not happy at her daughter’s behavior. The baby was born within the next 5 minutes. In the background, her mother glared daggers at us, daring us to say anything different. Needless to say, we kept our mouths shut. Tightly. Preheat oven to 400 degrees Fahrenheit. Spray mini loaf pans (you can also use muffin pans for this or a large loaf pan/jumbo muffin tin- if using either of those, reduce oven temp to 350 degrees Fahrenheit and bake for approximately 30-45 minutes). Mix together flour, brown sugar, baking powder, and salt. Add in blueberries. In a large measuring cup, combine lemon juice and milk. Add vegetable oil and egg and stir well. Pour liquids into dry ingredients and stir until just combined (lumps are okay!). Divide batter equally among mini loaves, muffins, or just dump it all into one loaf pan. Mix together flour, brown sugar, and cinnamon for topping. Cut in butter until the mixture looks clumpy. Sprinkle onto batter. Bake for 15-20 minutes (or see note above if you’re using an alternate pan) or until a toothpick comes out clean. Let cool 5 minutes then enjoy! I am laughing so hard in horror and humor at the birth story!! Wow. And I can’t wait to try one of these little breads. Excellent. Thanks for sharing. Reason #452 why I’d never make it in the medical field! 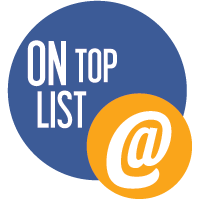 Great post – thanks for the chuckle and the recipe! I am loving your blog. You make me laugh and drool at the same time in a way a lot less awkward than it sounds. VERY funny story! I think I was down the hall from her when I had my daughter 🙂 And now I know what I’ll be doing with my remaining frozen blueberries! True. I think my hearing was permanently affected. I have a co-worker delivering in about 6 weeks – I’ll share this story with her AFTER she delivers. But, maybe I’ll bring in the bread beforehand!! Thanks for sharing! That is nuts!! Having 2 children myself, keeping them in was certainly the last thing that I wanted – even during a natural childbirth…. You have the craziest stories!! Mama knows how to control her little ones, eh? your career in medicine is a sure-fire recipe for a book. What a great story for muffin bread. The term va-jay-jay always makes me laugh. I’ve gotta say, I love the format of your posts! Your stories are always hilarious and the recipes look great. I’m definitely going to try this recipe out! Thank you so much! When I started, I thought this format would work best- glad everyone seems to like it! Love that story! And thanks for the recipe. Natural childbirth is fun. Did it twice. No epidurals back then or I would had me one of them, for sure! lol! Thanks for the recipe, too! My wife still speaks reverently about her epidural. I don’t think we would have made it without. Funny birth moment: I was doing a crossword between contractions when I noticed the book my wife brought to read. It was Good Omens by Neil Gaiman and Terry Pratchett. If you’ve never read it, It’s a comedy about the birth of the anti-christ. She just grabbed a book on the way out the door. That’s a great story of a GOOD mother (the elder). Hopefully, young mum will turn out as well in a few years. Nice story! This recipe looks amazing! I can’t wait to try it! You always find a way to make me laugh. This article is just too funny. Child birth stories are always awesome, especially when you don’t live them yourself. You are most welcome. Thank you so much for the high entertainment value of your blog. Hilarious! I too did not make it in time for my epidural and profanity came flying out left, right. I was at a Catholic hospital. My doc understood as my plan did not involve natural labor. I did not want the baby to stay in, I just wanted to pain to stop. Whoa. Scary mama. And cesarean lol. Thank you very much. Yay for muffins, though! They really do shut everyone up. Wow. I had my daughter young! but my mom stood over me and said “don’t you dare make a sound and embarass me!’ and I didn’t. The nurses and doctors thought something was wrong with me. What a great story!!! I needed a laugh this morning. Thanks so much!! And, I will have to try out your recipe. Haha! I have some very close friends who are L&D RNs. Oh the stories the tell…. This gives me a new idea to use up some frozen blueberries, thanks. I’m enjoying the combination of your medical annecdotes and recipes. You simply have to have a sense of humour to get through medicine or nursing. I could tell many! OK – one I’ll never forget. A young couple (15 & 16 or so) came into Emerg wanting a pregnancy test. Our very kind triage nurse asked her, “How far along do you think you are Dear?” The girl answered, “Maybe 15 minutes.” Needless to say, one of the docs took them to an examining room to explain the birds and the bees business. HI there! Thanks for liking my post, I really like yours too! And what a combination, domestic diva medic extraordinaire! That’s awesome. I am a domestic with a job as an engineering project manager. And all my bloke colleagues put my cooking to shame, I promise! After just having a baby… I LOVED this post and your bread would shut me up any day! I survived without epidural and I was having twin. At some point I also thought of keeping them in, just so I won’t have to live the pain of child birthing. Great story and yummy bread, I did use the lemon juice but it is still yummy. How’s the residency? I know I matched- will find out where on Friday! Domestic Diva, I love you!! That cracked me up. Hilarious! I was in labour for exactly 4 hours, and while there was a lot of pain, no drama like the above-mentioned. The only nasty thing I did was spit out some fizzy masala lemon water one of the nurses gave me. It tasted funny. And was too fizzy. I apologised though. Its been 35 years for those cravings ….now I have no excuse. Just LOVE food! Thanks for tastey contribution! Thank you for following my blog! I love your recipes and anecdotes. My girl friend is about to give birth to her second child any day now. I hope she does not have to go through all that crazy stuff your patient did. The muffin bread looks great. brilliant story and great recipe! My god daughter is studying to be a mid wife and has just attended her first birth which ended up beign a caesarian, must send her the link to your blog! that was so funny !I was laughing as I read the part when the mother came in and set the Daughter straight,,,,,,,then the baby came. Mmm! This looks so scrumptious – bread & blueberries = ambrosial. I’ll have to try it out some time soon. Thank goodness you ended that story with something nice. I was about to go away thinking, “I’m never having kids,” but now I’ll associate childbirth with yummy blueberry bread. Thanks for following my blog, yours is spectacular. Very informative as well as hilarious! cant wait to read more. I look forward to reading your blog…so funny and great recipes! You self-censor your cuss words. You really are a complete goody goody. Gosh, oh heavens, and fudge are not words of profanity. I was implying that that is how I would hear you talk in real life. For example: “Gosh darn it all, don’t be such a Fidgety Frank, and sit still from this fudging needle” comes to the wet noodle in my head as something that crosses through your lips on the reg. this looks awesome!! I will have to try this! Love the story and the recipe. Sounds a lot like my daugher when she had her first. Only she tried to run around the room. I told her to get the you know what back in bed, ccoperate with the nurses and shut the heck up. Hilarious!!! And the bread looks WONDERFUL!!! Keep both the recipes and the stories coming! Thanks for liking the post on my blog. Thanks for checking out my lifestyle blog Bmore Energy, http://bmoreenergy.wordpress.com. I looked up your Blueberry Muffin Bread and got an even better recipe–one for laughter with that birth story!